To master a travel card is to master all credit cards, for no other card offers somany confusing options every step of the way. 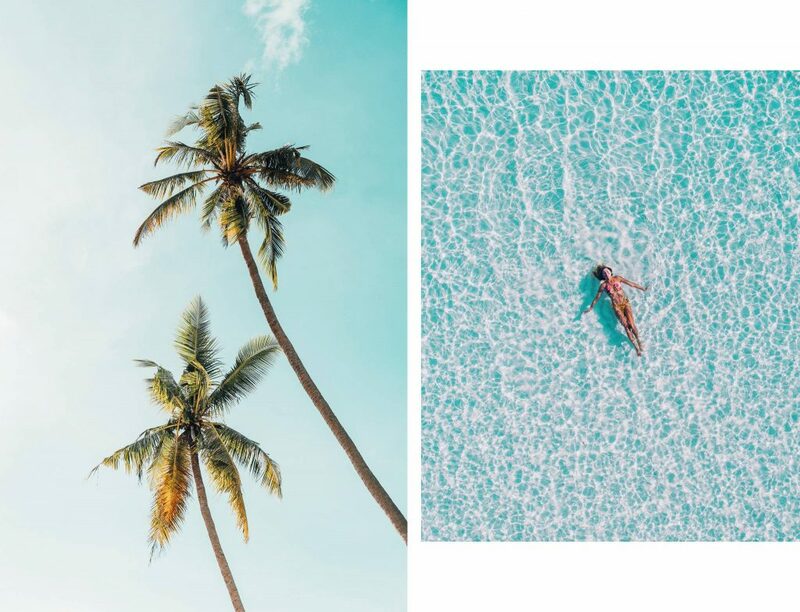 But before we even get to that point—before you have a dozen of them in your wallet, and before you barely have to pay for a flight—let’s begin with the simple task of matching you to a card that’s a good fit for your lifestyle and will indeed supply you with a free trip now and then. What are the different travel credit card types? Travel credit cards are the Holy Grail of the credit card game. They offer the sweet promise of free travel, the challenge of beating the system, and the camaraderie among fellow travel hackers both online and in those premium lounges none of you had to pay for. But, before you go on this journey, let’s outfit you with at least one of the prime choice travel credit cards we’ve researched so thoroughly. so лthat you can practice and perfect the craft of pulling free flights out of thin air. Travel credit cards are widely regarded as the most complex credit cards—and for good reason. There are multiple rewards options and many more redemption options, so you have countless nuances to take into consideration. 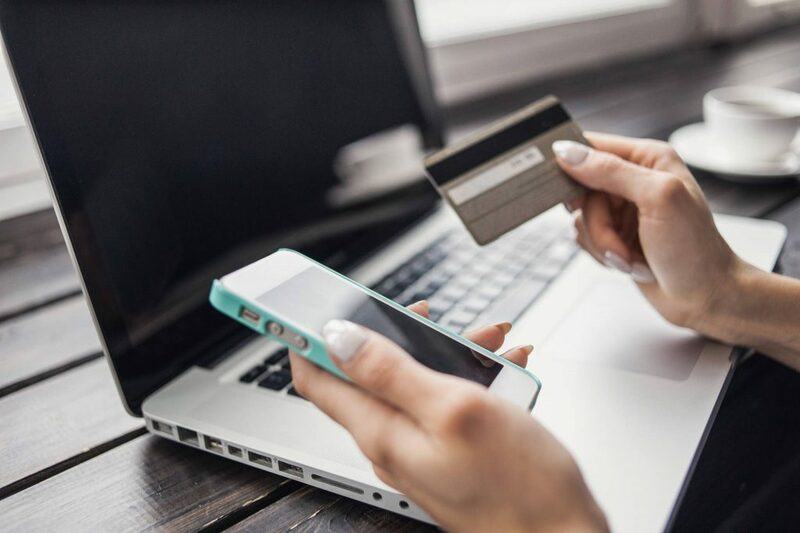 Luckily, even among those cards, there is enough of a range to find a good match for any kind of user, whether they are a beginner, an occasional or a frequent flyer, a big spender, or a frugal traveler. Below is a selection of loyalty programs that we believe most fitting for a number of common use cases, although we will be happy to provide you with additional options if none of these do the trick. You get two sign-up bonuses. With the first, you get 50,000 points for spending $4,000 within the first 3 months. And if you spend $20,000 within the first year, you get another 30,000 points. You can redeem these bonuses through the Chase portal at 1.25 cents per point. 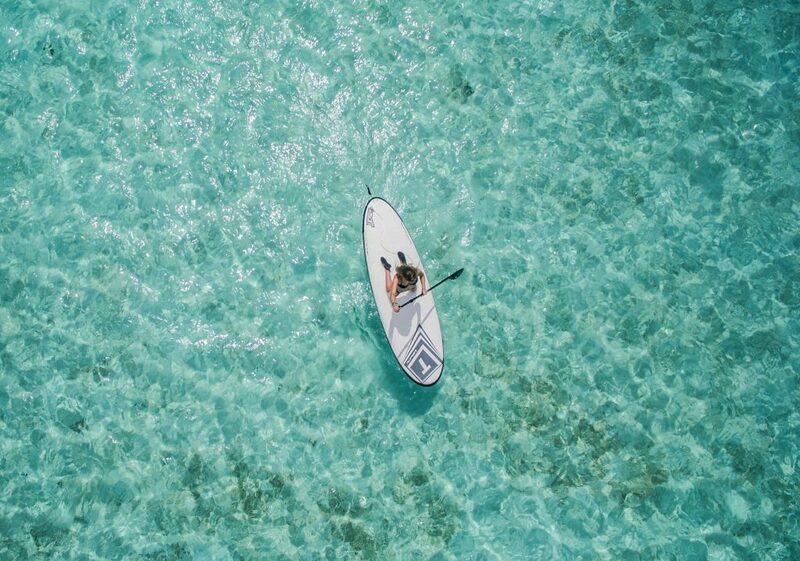 At this rate, your first-year bonus is worth $1,000 of travel. You earn one point on all purchases and double the points on dining and travel. As mentioned, the points can be redeemed for travel at Chase, or transferred to a dozen of travel partners at a one-to-one rate. There are only two categories where you can earn more than one point per dollar: travel and dining. For most people those categories are just a fraction of their spending. A possible solution here is to get one of the free Chase cards that have better rewards rates in other categories. You can then pull all of your points together on the Preferred® Card, where you can use them for travel at a rate of 1.25 cents. Another downside is the annual fee of $95, although it is waived the first year. The two strongest features are the sign-up bonus (one of the largest ones out there), and the flexible points that can be either redeemed with Chase or transferred to its travel partners. The rewards rate is not very exciting, but it can be supplemented with the use of other Chase travel credit cards as discussed above. All in all, an outstanding option for its cost. You should definitely consider getting it it for the bonus, if nothing else. Read full review. 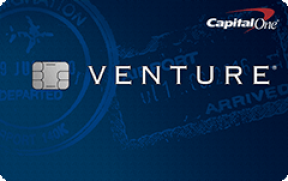 Capital One® Venture® Rewards See terms on Capital One’s secure website. There is a sign-up bonus of 50,000 miles for spending $3,000 within the first 3 months. But the key feature here is the way you can earn and redeem rewards. You can earn rewards at a flat rate of 2 miles per dollar spent on anything. You can redeem those miles in any amount to cover any travel-related expenses over the past 90 days. Additionally, when you book hotels at hotels.com, you earn 10 miles per dollar of booking. There are no foreign transaction fees, naturally. The miles can only be redeemed at a fixed value of one cent per mile. That could be a drawback for a skilled travel hacker, who can find better values elsewhere. But for everyone else that’s probably an advantage. No need to waste time researching countless redemption strategies. There is also an annual fee of $95, which is waived the first year. The key concept here is simplicity, and it applies to both earning and redeeming rewards. An above-average flat rate is combined with easy redemption in any amount and for any type of travel, down to a taxi. This product is strongly advised for a travel card novice or really anyone who doesn’t want to bother with too much research. The bonus is 80,000 points if you manage to charge $5,000 of expenses within the first 3 months. The rewards rate is 1 point on all expenses and 3 points on such business-related expenses as travel, shipping, and advertising. On business expenses there is a spending cap of $150,000 per year. Once you’ve reached the cap, the rewards rate drops from 3 points to 1 point. There is also the usual benefit of earning your points as Chase Ultimate Rewards®, which can be redeemed through Chase travel portal at 1.25 cents per point, or transferred to one of the travel partners and possibly redeemed for even more. There is an annual fee of $95, and it’s not waived the first year. If you push it to its absolute max, you’d be earning over $5,000 of free travel per year. And even if you don’t, you’d have no problem recovering the annual fee with just about any level of spending. 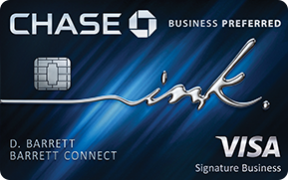 This card is a no brainer investment for a small business. And even though it’s not explicitly advertised as a travel product, it still blows most of the travel credit cards out of the water. Read full review. 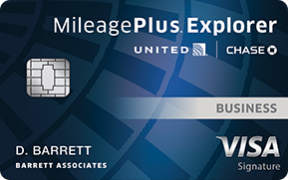 United MileagePlus® Explorer Business card See terms on Chase’s secure website. Currently, there are two sign-up bonuses. You can earn 50,000 bonus miles by spending $3,000 on purchases within the first three months. Another bonus 10,000 miles will be added to your account after you spend $25,000 on purchases on your card each calendar year. The base rate is 1 mile per dollar spent on all purchases. The bonus rate is 2 miles per dollar spent on dining, gas, office supply, and United purchases. There are also a number of smaller travel perks, like a free first checked bag, two one-time United Club℠ passes per year, a 25% discount on United in-flight purchases, and up to a $100 credit to cover your Global Entry or TSA Pre✓® application fee. The main downside of a co-branded loyalty program is that you are stuck with a single airline and there is no flexibility of moving your miles around. This wouldn’t be a problem for devoted United customers with a United hub in their area. Another drawback is the annual fee of $95, but it’s waived the first year. When applying for a co-branded travel card, your main consideration should be which airline has a hub in your area and covers most of your usual destinations. We’ve picked United since it’s a solid card with a broad appeal domestically and somewhat internationally. But don’t hesitate to choose a different airline if it makes more sense for your area. The card comes with a 75,000 point sign-up bonus after you’ve spent $3,000 on purchases. To qualify for the bonus you have to reach the spending goal within the first 3 months of being approved for the card. Among other notable perks is the annual one free night credit and the Silver Elite Status within SPG and Marriott chains. Other than that, the card earns 6 points on hotel stays and 2 points on all other expenses. There is an annual fee of $95, but it’s waived for the first year. While most travel credit cards prioritize air miles, this one is dedicated to hotel points. In the end, it doesn’t really matter, as long as it makes your travel cheaper as a whole. And in that regard you are looking at a very solid option. The points are accumulated quickly, and a multitude of redemption options are available both through chain hotels and partner airlines. Read full review. 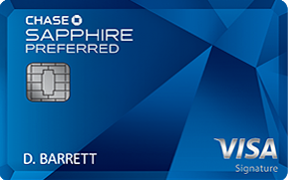 Chase Sapphire Reserve® See terms on Chase’s secure website. This product is available to you if you don't have this card and have not received a new cardmember bonus for this card in the past 24 months. This card simply rains benefits. First, you get a 50,000 point bonus, earned by spending over $4,000 in purchases in the first 3 months. Second, you receive a $300 annual travel credit. And third, you get a bonus rate of 3 points per dollar spent on travel and dining. Fourth, you’ll enjoy a redemption rate of 1.5 cents per point when booking travel through the Chase portal. And last, you’ll be offered a handful of travel perks, such as lounge access, hotel benefits, and a free credit to cover Global Entry or TSA Pre✓® application fees. Predictably, all these features come at a cost of a higher annual fee: $450, which is not waived the first year. Most of the annual fee is compensated by the travel credit. Whatever is left is easily made up through the numerous other perks. 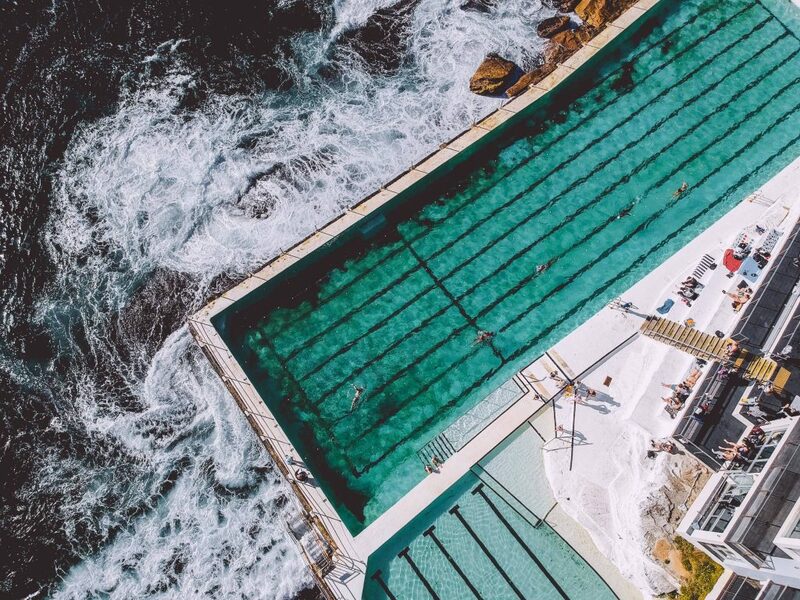 The only question that remains is whether you travel enough to make all of those benefits actually valuable. Read full review. This is card that simply doesn’t know when to quit. Right off the bat, you get an introductory bonus of 60,000 points if you spend $5,000 within the first 3 months. This is followed immediately by $400 in free annual credit, split evenly between Uber and an airline of your choice. And then you’ll receive unlimited lounge access, including The Centurion® Lounge, gold status with Hilton and SPG, and a 5 point-per-dollar bonus rate when booking flights and hotels. On top of that, the points are flexible. You can transfer them to one of 15 partner airlines. Apart from the annual fee of $550, you should also be aware that this is a charge card. This means that your balance has to be paid in full each month. Additionally, it doesn’t have a fixed credit limit. Instead, the limit adjusts to your spending pattern and is built up gradually. Frequent travelers, especially those who appreciate comfort and have The Centurion® Lounge in their hub, will easily match the card’s cost with the value of its perks. Read full review. Bank of America® Travel Rewards credit card See terms on Bank of Amerika’s secure website. This card is on our list because it has no annual fee, which is somewhat rare for a travel card. There is a sign-up bonus of 25,000 points if $1,000 is spent on purchases within the first 3 months. Beyond that, the flat rate is 1.5 points per dollar, which can be boosted up to 2.62 points per dollar by investing with the Bank of America. The redemption is somewhat flexible. You can use points to cover a wide range of travel expenses, including taxis, public transportation, amusement parks, and a host of other activities and modes of travel. If you don’t invest with Bank of America, then the rewards rate will be too low to compete with the other options on this list. Also, while the points can be redeemed for a variety of expenses, they can’t be transferred anywhere and their value is fixed at 1 cent per point. A no-fee travel card that’s a competitive option for anyone who invests with Bank of America. Read full review. Before you even begin a detailed comparison of your options, there are a couple of ways to quickly narrow them down until you have just a couple left. There are hardly any options in-between travel credit cards that cost $100 per year and those that cost upwards of $400 per year. So, perhaps you should know the difference before going either way. Usually, the more affordable loyalty programs limit their benefits to sign-up bonuses and somewhat attractive rewards rates. One way to use them is to collect the sign-up bonus and use it to book a free trip or two, then cancel the card or downgrade it to a free one. Alternatively, if it is a good match for your spending patterns, you can keep it as an everyday card and use it to accumulate points for further trips. Those travel credit cards make sense for high spenders who are either frequent or occasional flyers. On top of the usual package, premium cards provide some form of travel credit and a multitude of perks. The value of those perks depends largely on your individual travel habits. Those cards are definitely the keepers, so you should pick the one that offers the perks you’ll find valuable in the long run. Premium travel credit cards are for frequent flyers only. Some travel credit cards, such as the ones from Chase and American Express, allow their points to be transferred to a number of travel partners. There you can increase the value of points by finding favorable award deals. If you were to book travel through the credit card company portal, you’d be stuck with a fixed value of 1-1.5 cents per point. Once you transfer the points, you’d be able to redeem them for anywhere between 0.3 and 6 or more cents per point. That’s a little bit of a gamble, but the potential gain is worth it. As you can imagine, having a card that allows point transfers is considered an advantage. Honestly, as long as it goes towards covering your expenses, it makes very little difference what kind of rewards you earn. The only thing that matters is which way you earn the most. Compare your expenses in each category, and pick a loyalty program that rewards the kind of expenditures you make the most. If it’s a tie or you are not sure, then we’d pick miles. Consider this: there is no (reasonable) alternative to flying, but there is often an alternative to staying at a hotel. You might be going cross-country for Christmas and staying with your family or you might be traveling abroad and using AirBnB for a more authentic experience. But you’d be flying either way. Once you’ve narrowed your selection to a couple of options, it all comes down to the numbers. Simply add up the value of all the rewards you’d earn and subtract the annual fee. A good result would be a return on your spending of 1.5% or more. If you’d earn less than 1.5%, then you are better off getting a flat-rate cash-back card. They are free and offer the same earnings minus the hassle of a travel card. The rule of thumb is if your monthly spending is below $2,000, then you will not make a sufficient return on a travel card. If you are considering a card with flexible points that can be turned into air miles, then multiply your return by 1.3—that’s the average value of an air mile. 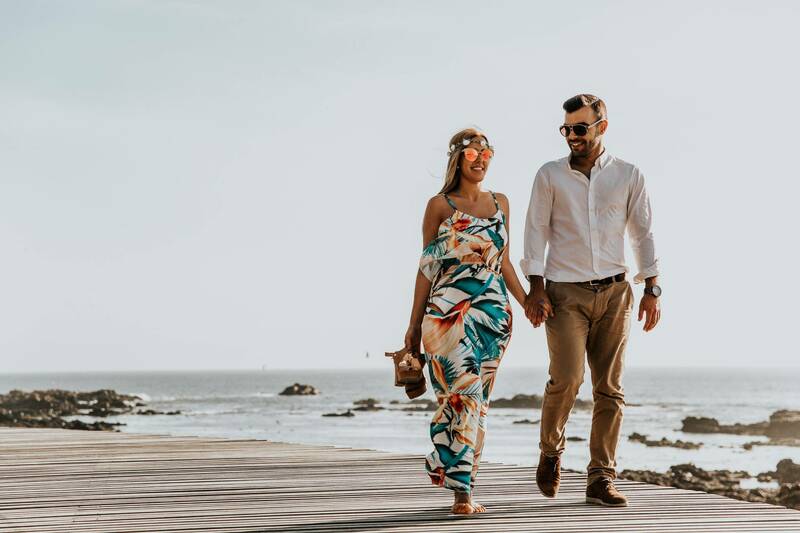 Most travel perks do not have a fixed monetary value, but there is still a way to approximate how much they are worth. Let’s take complimentary lounge access (you + two guests) from Chase Sapphire Reserve® as an example. 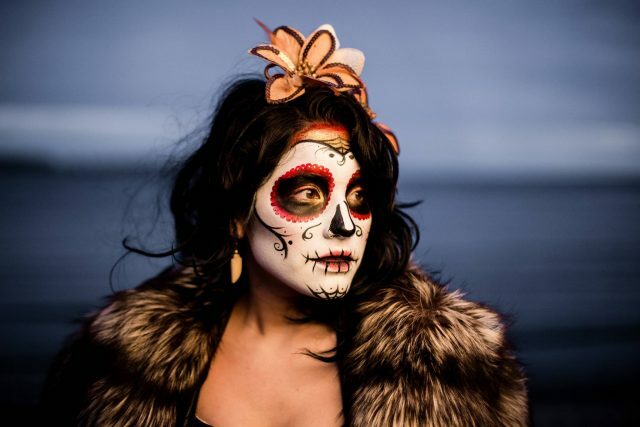 Here are a few questions you should be asking: Are you traveling alone? How much does the visit cost without a card? Would you have paid for it if it wasn’t free? If not, what are the costs of not visiting the lounge? How many times per year are you traveling? If you are traveling alone and would have never wasted your money on a lounge or any of the other overpriced airport stuff, then the value of the free lounge access to you is zero. You’ve received no discount on your usual expenses. If, on the other hand, you never visit a lounge, but you always spend about $15 on a snack and a coffee at an airport, then the value of visiting a lounge, which has free snacks and coffee, is about $15. On yet another hand, if you are a family of three, always visit the lounge, and travel five times a year, then the value of this perk is $27 (the cost of a single visit per person) times three people times five trips. That’s over $400 saved that you would have spent otherwise. A few tips to make sure your travel credit cards are pushed to their full potential. You should always plan on getting the sign-up bonus. It is relatively easy to get, and in just a couple months you’ll have as many points as it would have taken a whole year to earn otherwise. And a single bonus could be worth one or two round trips domestically, possibly even internationally. In fact, it’s one of the major strategies for travel hacking. Plan a trip, apply for a new card, grab the bonus, book the tickets, downgrade the card to a free one, enjoy your trip, repeat with a different card. It’s not generally a good idea to combine several travel credit cards, on account of annual fees, but there are still a couple of options available. 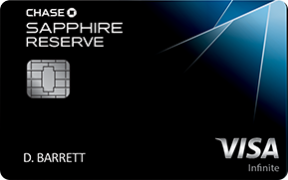 Chase Sapphire Preferred, for example, is a great earner on travel and dining, but it falls short on everything else. That’s why you might want to get a free Chase Freedom card, which offers better rates in other categories. 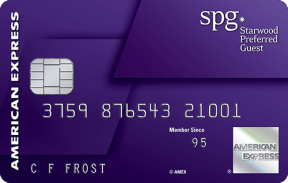 Or the Starwood Preferred Guest® Credit Card from American Express, which earns 2 points on hotel stays, but doesn’t cancel the other 3 points you would have earned if you were also a member of the SPG and Marriott loyalty program. Or the Capital One® Venture® Rewards Credit Card, which earns 10 miles per dollar when you book lodging through hotels.com, on top of the 10% you’d earn through the website’s own loyalty program. As discussed above, transferring points from the credit card company to an airline opens favorable redemption opportunities. 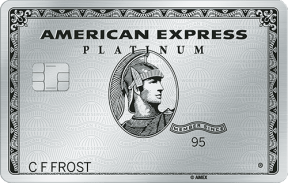 Take the Platinum Card® from American Express. Redeeming its points through AmEx would have yielded the value of 1 cent per point. But transferring 30,000 points to British Airways and booking a round trip to any of the major European destinations would have yielded a value of 1.7 cents per point. Or you could transfer 40,000 points to Virgin Atlantic and book a round trip flight to Hawaii, redeeming your points for 2.2 cents. Looking for the best travel credit card is no different from looking for any other card. With a few broad strokes we can eliminate most of the competition, until just a few suitable options remain. At this point we do a quick break-even analysis and choose whichever one comes out on top. No two ways about it. Although this can get a little messy when it comes to premium travel credit cards and the valuation of their perks. Hopefully, our guide will come in handy and you won’t be blinded by those fancy features you might never actually need. Good luck!